Check Your Math, Senator Corker! So Corker, who said (imitating Corker), “Oh, my God, $1.9 trillion, oh, my God, worst vote I’ve ever made.” CBO has said we overestimated that. That’s the cost of the Trump tax cuts. You know why? Dynamic versus static scoring. They even admit here, the CBO admits “it didn’t account for the strong economic growth they would generate,” even though they always do. Now, this is mind-boggling. In addition to all this, it was reported today that the federal government, even after the tax cut, continues to collect record amounts of tax revenue. Tax collections are at an all-time high. One and a half trillion in the first quarter. It’s amounts that we can’t even comprehend. And yet we have these deficits in the national debt ratcheting up, and one thing that remains constant is, you’re not undertaxed. We’re overspent. That’s not what happens. ‘Cause what happens with all that money in the private sector, it’s used to hire new people, it’s used to give bonuses and raises, and more taxes are paid because more taxpayers are created as people get jobs. How many times have we gone through this? 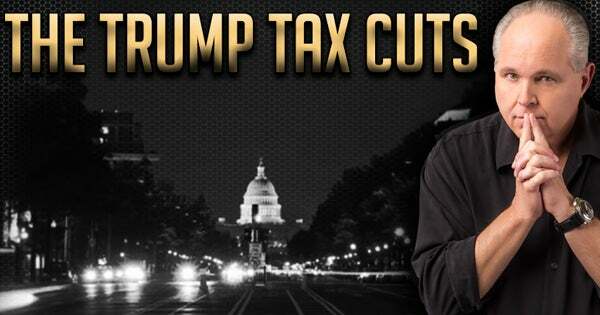 Reducing taxes has caused economic growth, has caused the Trump tax cuts to be paid for! CBO admitting it. 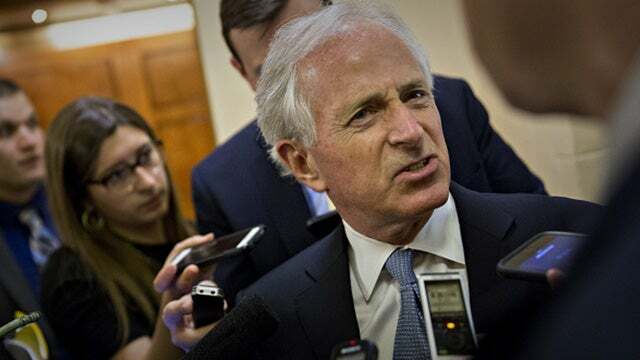 So what’s Corker talking about? “Worst vote I ever made.” Here again, we have another A-B, side by side reality. In the America where people get up and work and go about their business and make the country work, things are normal, everything’s fine, the usual problems, the usual happinesses, the usual challenges. Over here, it’s nothing but one apocalyptic headline after another.